[ #SIGGRAPH2015 ]Los Angeles, Aug. 11, 2015 – At Siggraph 2015, The Foundry will demonstrate MARI 3, the newest version of its industry leading 3D paint package. 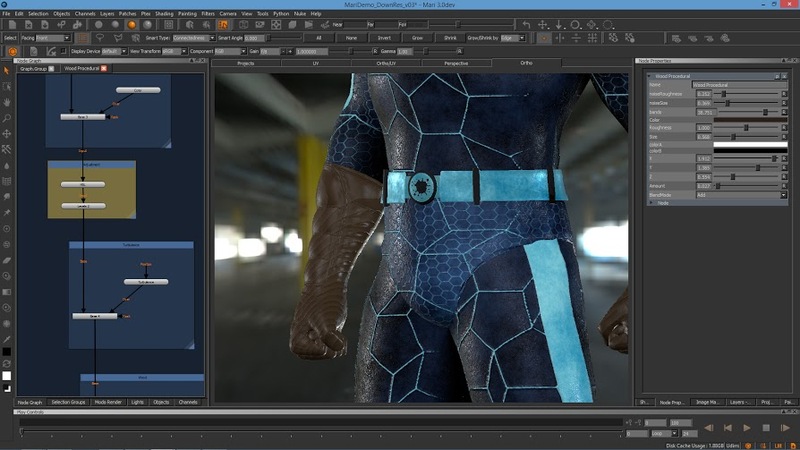 Ideal for texturing and look development artists in the VFX, animation and games industries, MARI 3 combines productivity enhancing features with broader and tighter pipeline integration. This includes an exposed node graph for advanced users and integration with the rendering and baking capabilities of MODO, The Foundry’s 3D content creation solution. The Foundry will showcase MARI 3 at its Siggraph Booth #309, as well as in its live broadcast from Siggraph on Wednesday, August 12 at 10:05 AM (PDT). MARI 3 brings support for widely used shaders such as Unreal, as well as for OpenSubdiv geometry. Within the games market, more AAA and indie game developers have adopted MARI to create the cinematic quality characters and experiences required in today’s most successful games. For visual effects artists, MARI 3 delivers creative tools that provide the performance, power and quality that the creation of today’s high resolution assets require. Prior to MARI, 3D paint solutions could only handle a small handful of textures at one time. Now, with MARI, artists can create and edit thousands of high resolution textures, freeing them to concentrate on their art rather than technical details. As film and television audiences demand more spectacular visual effects, MARI lets artists push their artistic imagination. 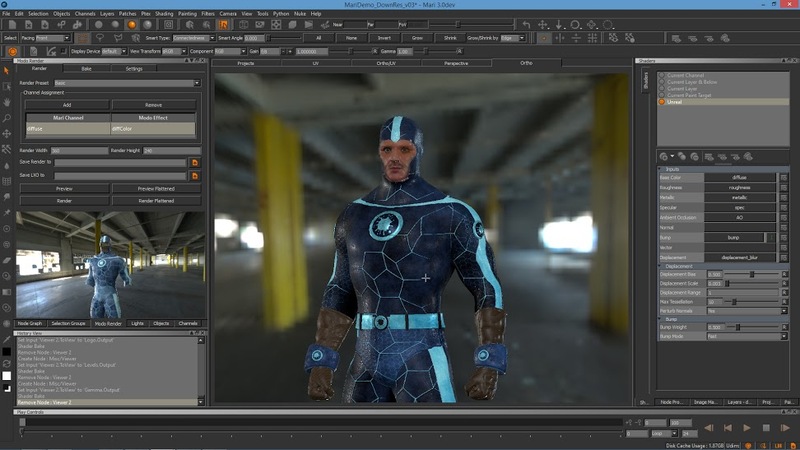 MODO rendering and baking : MODO’s rendering technology is now integrated directly within MARI. working out of the box without the need for a MODO license. Artists can now easily check the final render quality of their work as they paint, or use MODO’s powerful baking engine to bake textures directly from within the MARI UI, reducing time spent transferring data between various applications. MARI’s new developer APIs further extend the ability to achieve similar functionality with other offline renderers. Exposed node graph and Gizmos: In addition to the traditional layer system, MARI 3 introduces the first phase of the exposure of its node graph, which allows advanced users to create and edit channels and layers in a more powerful, efficient and visual manner. Artists can chose to work directly in the node graph, selecting and connecting nodes to build their final textured surface. In addition, artists can reduce complexity by combining frequently used functions into custom group nodes known at Gizmos. Artists can export Gizmos for use in other projects, or shared with others. OpenSubdiv support: New support in MARI for the widely used OpenSubdiv geometry lets artists work with subdivision surface (SDS) meshes, without the need to translate or pre-subdivide them. Subdivision surfaces combined with accurate UV layouts lets artists view and work with a better representation of the final rendered smooth surface, while making sure final textures match up. Color space management: MARI 3 delivers new flexible, artist friendly color management workflows, based on OpenColorIO. 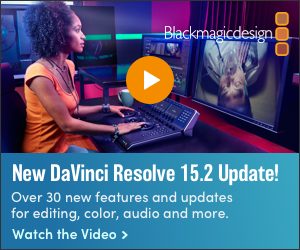 Color space properties, available on both images and on individual channels of multichannel images, eliminate the need to preprocess or postprocess images into the correct color space. Artists can also set color space defaults a perproject basis. These features save time and reduce the potential for errors. Arnold, V-Ray, Unreal and Redshift shaders : MARI 3 introduces new shaders designed to simulate those used in industry standard rendering and games engines—Arnold, V-Ray, Unreal and Redshift. Now, artists can paint textures in their intended final context, providing more realistic previews. FBX geometry support: By providing support for reading geometry from FBX files, MARI 3 allows artists to work in conjunction with a vast range of third party and proprietary 3D solutions and source material providers. 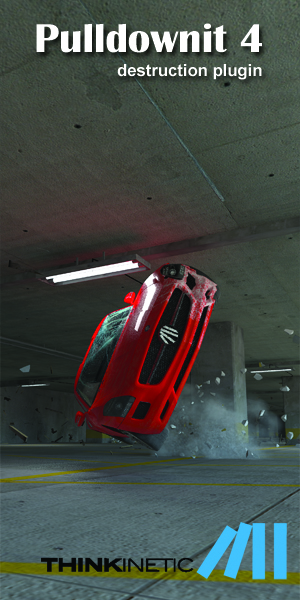 As the leading 3D asset exchange technology, FBX enjoys widespread adoption across the VFX and games industries. Session scripts: The highly requested Session Scripts in MARI 3 allows artists to create a lightweight archive of a project, and combine with other archives. Artists now have the ability to merge projects, see assets in context with other assets, share useful data for reuse, or set up project templates. Developer APIs: MARI 3 delivers four new APIs: the Texture Data Access API, Geometry Data Access API, Display Driver API and Custom Graph Context API. Together, these help studios integrate MARI with their rendering pipeline, reducing the need to transfer files between applications and resulting in faster iterations and a more accurate understanding of the final context during the texture painting process. Enhanced texture transfer: In MARI 3, enhancements to Texture Transfer deliver more flexibility, allowing artists to generate height and normal maps between high and low polygon models, seamlessly blur across patch boundaries, and correctly transfer overlapping UVs. Entity locators: Entity Locators within MARI 3 offer a 3D manipulator that improves visual accuracy when transforming geometry inside MARI's viewport. This allows artist to translate, rotate and scale geometry more easily. Safe mode: A new Safe mode in MARI 3 offers easier troubleshooting by isolating the user's involvement and environment issues during debugging. 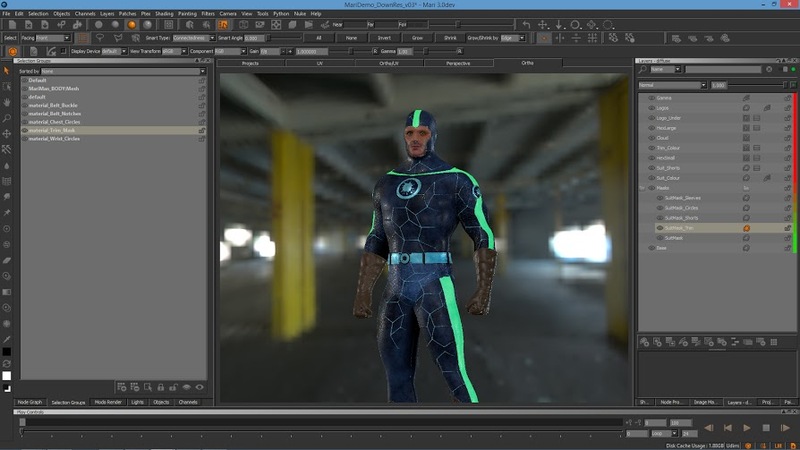 This helps artists identify and isolate critical points faster when resolving scene issues. Extended access to selection groups: Developers and TDs can now manipulate various selection groups through the Python API, allowing them to automate related functionality within their pipeline. In addition, artists can now access selection groups directly in the viewport, offering a more intuitive interface than the previous menu only method.